Manufacturer of a wide range of products which include double drawn bulk lose hair, brazilian lose hair, brazilian raw hair, brazilian wavy hair and brazilian straight weft. 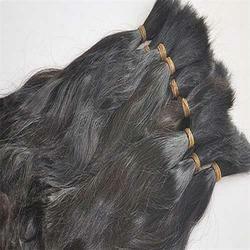 We are one of the leading manufacturers and suppliers of Double Drawn Bulk Lose Hair. 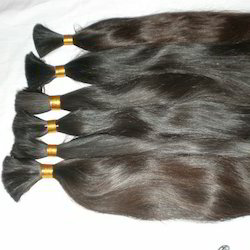 We are one of the major manufacturers and exporters of Brazilian Lose Hair. We manufacture our products keeping in mind the industry set standards and norms. These are made using excellent quality hairs and modern techniques. Our clients can avail these hairs from us with varied specification that too at market leading rates. These are manufactured under the supervision of our professional experts. 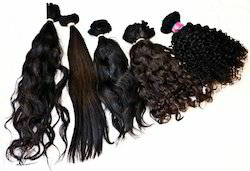 We are offering a wide range of Brazilian Raw Hair to our clients. 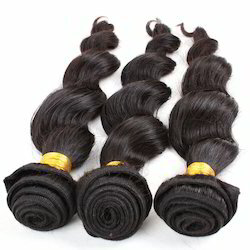 We are one of the major manufacturers and exporters of Brazilian Wavy Hair. We manufacture our products keeping in mind the industry set standards and norms. These are made using excellent quality hairs and modern techniques. Our clients can avail these hairs from us with the varied specification that too at market leading rates. These are manufactured under the supervision of our professional experts. 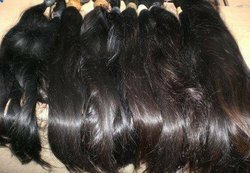 To manage and handle the specific and diverse needs of our patrons, we render the best quality of Brazilian Straight Weft hair. Used in plays and fashion shows, the rendered Brazilian straight weft hair is rendered by us in various colors. To ensure safe transportation, the rendered Brazilian straight weft hair is packed with tamper-proof packaging.